Pureed squash is the perfect cheese alternative for this vegan-friendly comfort food classic. You’ll enjoy the rich butternut flavor complemented with savory spices for a delicious and healthy meal in under one hour. Buy canned or fresh pre-cut and peeled squash to save time. For a thinner sauce, increase soy milk. For thicker sauce, stir an arrowroot or cornstarch slurry into the sauce while heating. Use your favorite milk replacement in this recipe, if soy is not your preferred product. Per Serving: 179 calories; 5g fat; 26.3g carbohydrates; 11g protein; 8mg cholesterol; 877mg sodium. I have been looking for a cheese alternative since transitioning to a vegan diet. I made this for my kids and they love it! The nutritional yeast flakes are my new go to. Thanks for introducing me to this ingredient! 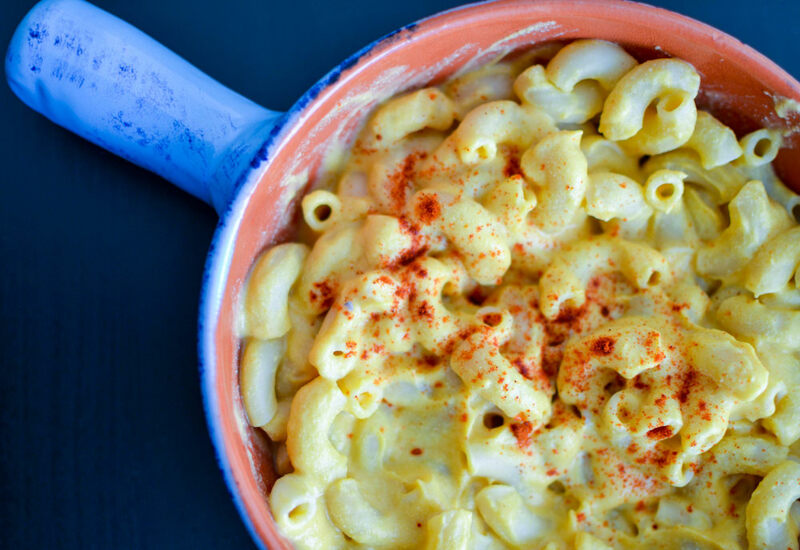 This butternut mac doesn't actually taste like cheese, but's its still delicious. The second time I made it, I did add shredded cheese and enjoyed it much better that way. If you like butternut squash, then you'll love this dish.